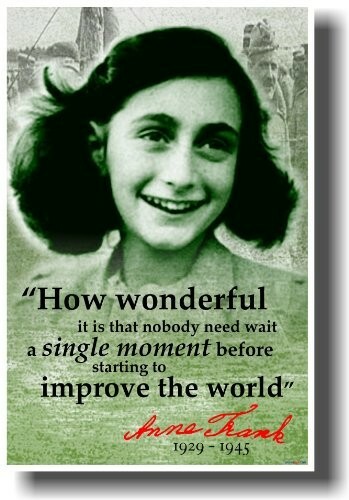 "How wonderful it is that nobody need wait a single moment before starting to improve the world." 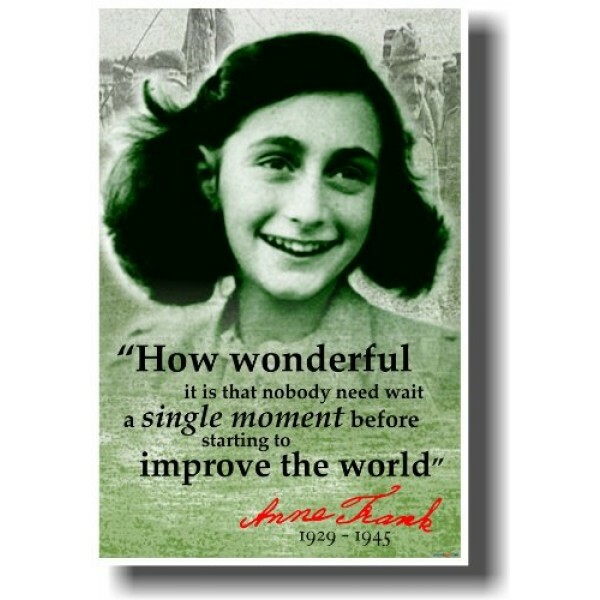 These beautiful words from Anne Frank are set on a lovely image of the diarist who has made World War II personal for so many students. This 12 by 18 inch poster is perfect for classroom walls or for framing at home. For books and films about Anne Frank's life, visit A Mighty Girl's Anne Frank Collection. For more empowering posters, visit our Art & Decor section.